We stride because we want to make sure other people have a chance. We stride because a five-year survival rate of 9% is unacceptable. We stride because it's what "Papa Z" would have done. Creating Team Papa Z has been one of the best decisions I've ever made. On Dec. 20, 2015, I woke up to a text from my mom saying that she was taking my dad to the emergency room. I didn’t think much of it because she said he was having some stomach pain. They were at a Christmas party the night before so I figured he probably overindulged. When I arrived my mom and our family’s best friends were already there waiting for me waiting to give me the worst news. My dad had pancreatic cancer. We left that day feeling cautiously optimistic. We knew the diagnosis was not good but we had hoped that there would a lot of treatment options available. The sad fact was that there wasn’t. “Team Papa Z” came out in full force for PurpleStride Chicago 2016, raising over $17,000. My dad was too sick to receive additional chemo so we looked into clinical trials. Ultimately, my dad decided to spend whatever time he had left eating, drinking, laughing and spending time with friends. 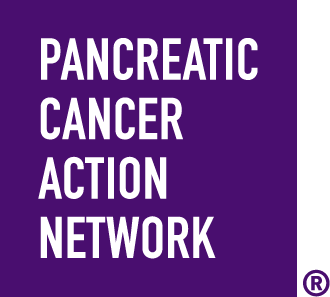 I turned to the Pancreatic Cancer Action Network for support and shortly after, I found out about PurpleStride. I didn’t feel so lost anymore. My dad passed away on March 27, 2016, and we participated in PurpleStride 2016 on April 30, 2016. In three months my team raised over $17,000.The walk was an emotional and amazing experience and as soon as it was over I started planning for PurpleStride Chicago 2017. “Team Papa Z” has come out in full force in 2017! We started a committee within the team and began planning fundraisers we could hold throughout the year. We hosted a White Sox patio party, a wine and paint night, a Super Bowl party, a bowling party and two wristband events at local bars to raise money. We stride because we want to make sure that other people have a chance. We stride because a five-year survival rate of 9 percent is unacceptable. We stride because it’s what “Papa Z” would have done. Creating “Team Papa Z” has been one of the best decisions I’ve ever made. It was by pure chance that I went to the emergency room one day in May. I had packed my work bag thinking I would be in and out within two hours, but that wasn’t the case. Who knew what I thought was “gas pain” would change my life forever. Editor’s Note: Khushbu lost her fight with pancreatic cancer, but her story endures. 10 hours and an ultrasound later I was given the news. They had found a mass on my pancreas and that I would need to be admitted for further testing. I ended up leaving the hospital three days later, after many IVS, nurses, and tests, but not with many answers or information. I was originally told that the masses were nothing to be worried about, but I had a feeling that this just wasn’t the case. My family felt the same way and thanks to my Uncle, Mickey, we immediately set up an appointment with a highly rated doctor at Memorial Sloan Kettering. We were fortunate enough to quickly get a liver biopsy followed by an appointment with two oncologists who told us the news. I was diagnosed with a rare cancer called Neuroendcorine Carcinoma of the pancreas which spread to the liver. We were told that we would have to move quickly in order to tackle this cancer and I began IV chemotherapy within the week. After three rounds of chemo followed with a CT scan, I was told that there was minimal improvement, for me, I thought, hey improvement is improvement, minimal or not. We continued IV chemo for seven rounds before switching to an oral chemotherapy. During this time I began losing my hair and after talking to others who had been through this process, I made the brave decision to shave my head. I am fortunate enough to have a sister and hair stylist who made that difficult decision easier. I was still working during this time so the thought of going back to work bald was terrifying; however with the support of my family and friends, I decided to go for it. My co-workers were wonderful and created a safe and playful environment which enabled me to feel comfortable in my bald state. We even went wig shopping together (of course, I got a hot pink wig). Unfortunately, the fun was short lived and I began feeling the grueling side effects of the chemo. I decided to move back to New Jersey so that my parents could help me with my daily pain. My sister also moved back into my parent’s house as an extra pair of hands during this rough time. Although I was home with my loved ones, it didn’t make the fight any easier. I spent weeks at a time in the hospital and became beat down by the disease. Many times I felt like I was going to die. My family and friends remained hopeful and continued to push me through that time. They are the reason I am alive today and fighting as hard as I am, even when my oncologist had given us the news that she believed hospice was the best way to proceed. Thank God for my stubborn family who refused to accept losing me to this cancer. They began researching again to find new doctors, studies, and anything else that we can try next and I couldn’t be more grateful to them for not giving up on me. I am currently awaiting results of a test that can possibly help reduce the tumor growth and I am going to remain hopeful and positive. As I await my results, my family and I have decided to focus our time and energy to the Purple Stride walk. I am determined to use my recourses to help raise money for pancreatic research and help others who have either lost loved ones, survived this disease or are battling the disease with me. I am blown away on how in such a short period of time, we were able to put together such a great team and raise an incredible amount of money for such an important cause. The amount of support and encouragement for #TEAMKHUSHBU has proven to me once again that I am not alone in my battle and with the help of my family and friends; I will keep fighting and survive!" In 1989, Todd Horne lost his mother to the disease. Then in 2015, Todd was diagnosed with stage II pancreatic cancer and had Whipple surgery. Unfortunately, the cancer metastasized during 2016 and made him a stage IV pancreatic cancer patient. Todd tries to live life as normal as possible every day for his wife and kids. He still coaches baseball on the weekends and works full-time during the week, while still going through chemo for three days every two weeks. His family, neighbors and colleagues motivate and energize him to persist in fighting the disease. Todd is determined to run (not walk) the 5K for PurpleStride Washington, D.C., to “inspire others with cancer,” recognize those who have supported him through his challenging journey, including his loving family, caregivers and friends, and to honor his late mother. He continues to Wage Hope in the fight! “The survival rate for pancreatic cancer is dismal…at just 9 percent for five years. For people who helped me get this far including mentors who have had the disease, my caregivers, family and friends, and for myself. I was reluctant to share this, but after learning of the proposed budget cuts to the National Institutes of Health (NIH) was when I decided to run and try to raise money. The NIH is key to fighting all types of cancers and funding is critical in the advancement to find cures. I know many of you have supported us in many different ways over the last two years and we greatly appreciate your support.